Badam halwa is prepared with just four ingredients such as badam, sugar, ghee and saffrons. They are so flavorful and super pretty too. 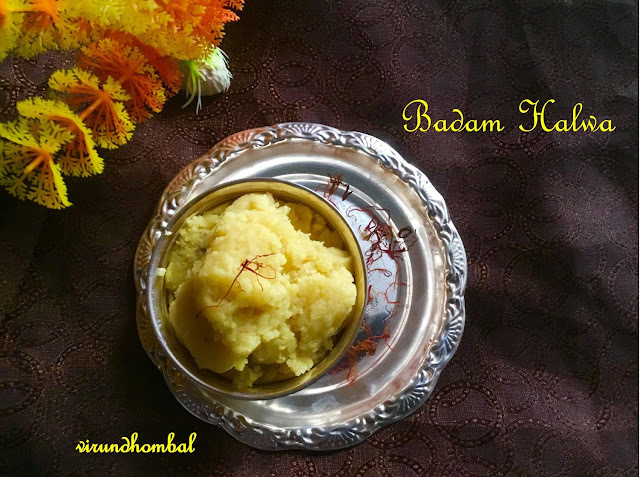 This badam halwa is perfect for special occasions, family get together and potlucks. 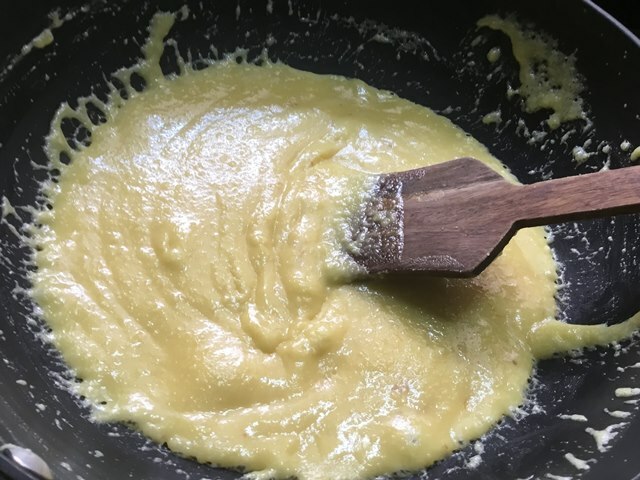 You must use ground badam paste for this halwa. 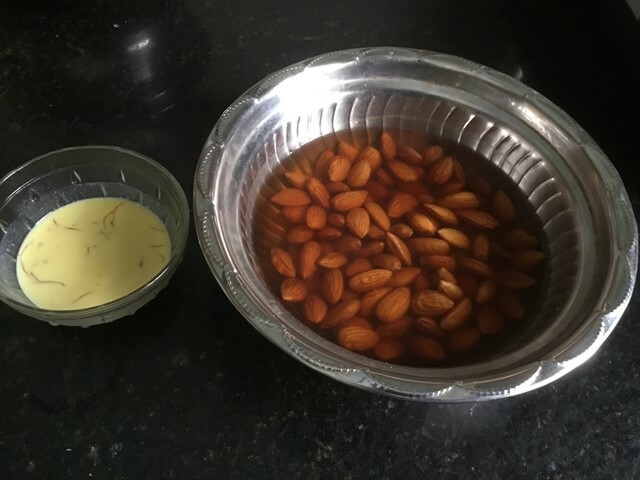 Soaking the badam and removing the skins take a bit of time, but I enjoy the process very much. The saffrons add a nice flavour and colour for this halwa. For this badam halwa there is no need to check the sugar string consistency. 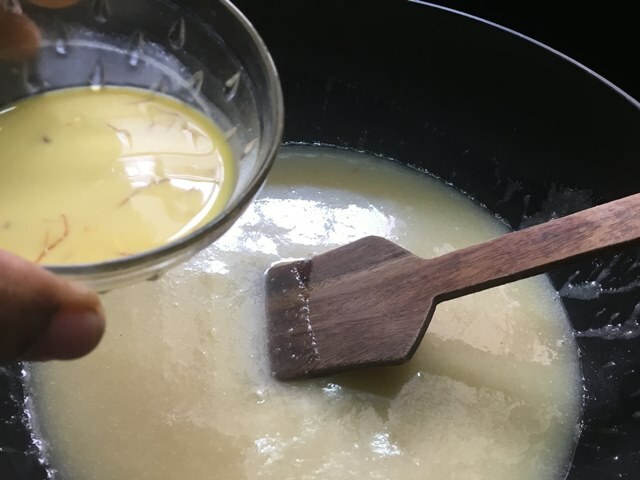 After sauteing the badam paste in the ghee for a few minutes, you can add the sugar and you have to stir it continuously. 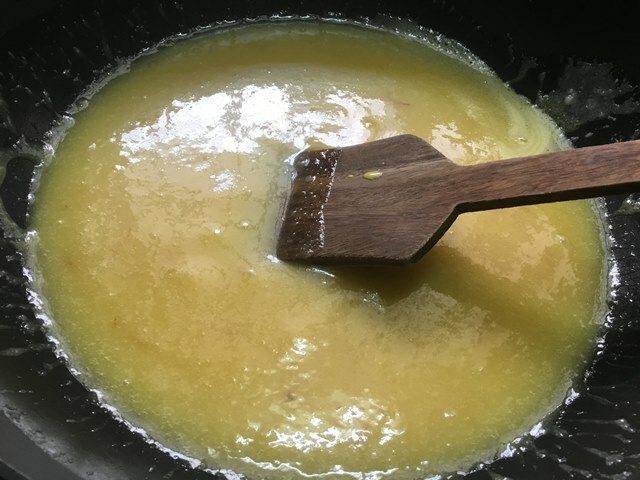 Stirring is very important for this halwa. Some halwas such as potato halwa, carrot halwa, ashoka halwa require more time to get the correct consistency. But for badam halwa when it starts to leave the sides of kadai you have to turn off the heat and quickly transfer it to the bowl. 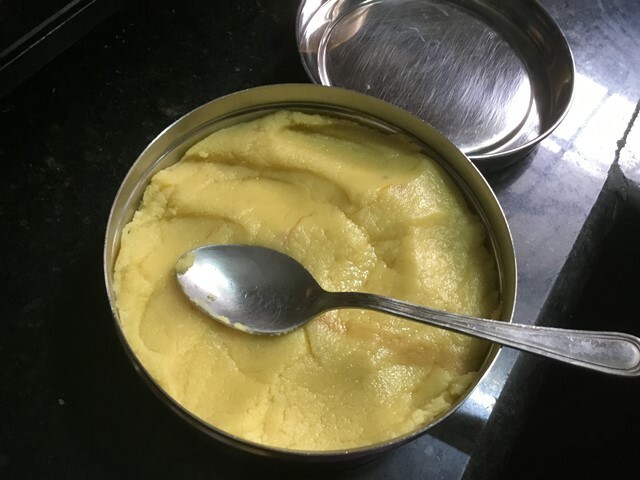 And also for badam halwa just 2 to 4 tbsp of ghee is enough. 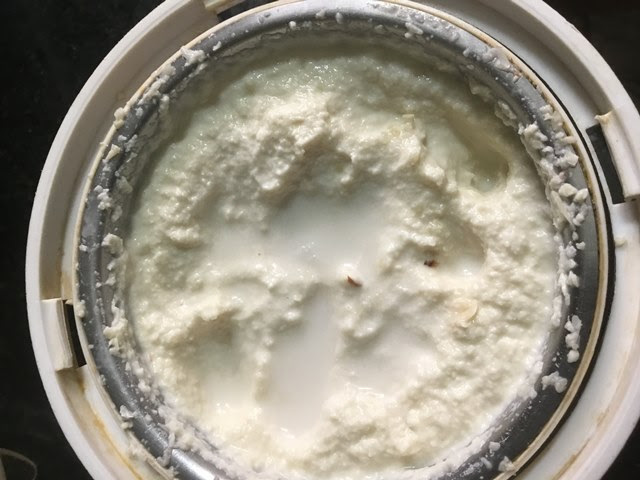 You can add either milk or water for grinding the badam. Now let's see how to prepare this badam halwa with step by step instructions. 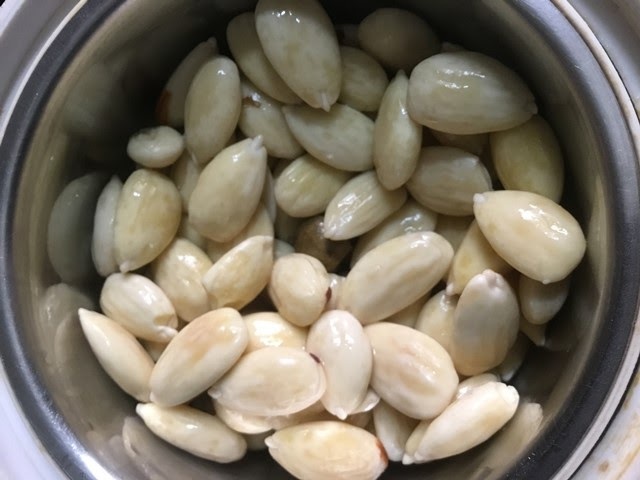 Soak the badam in hot water for 2 hours. In a small bowl, add the saffron and 2 tbsp of warm milk. After 2 hours, peel the badam skins and add it to a small chutney jar. Grind the badam smoothly. Add milk in between while grinding the badam. 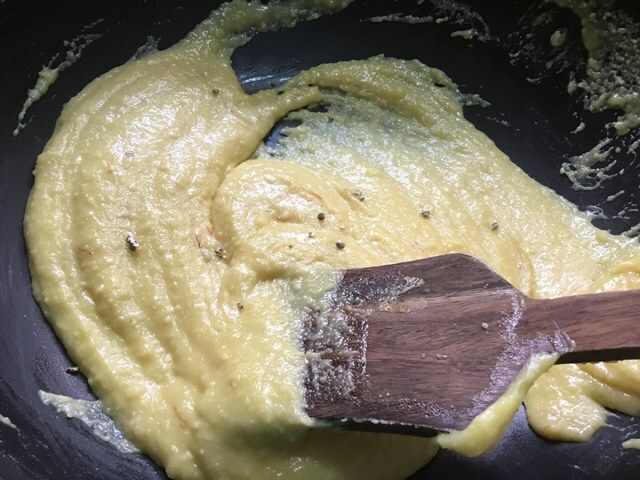 Take a heavy bottomed non stick kadai and add 1 tbsp of ghee and the ground badam paste. Stir the badam paste on medium heat for 1 minute. Next, add the sugar and mix them well with the badam paste. When the badam paste is mixed well with the sugar, add the saffron milk to it. Now you have to stir it continuously. 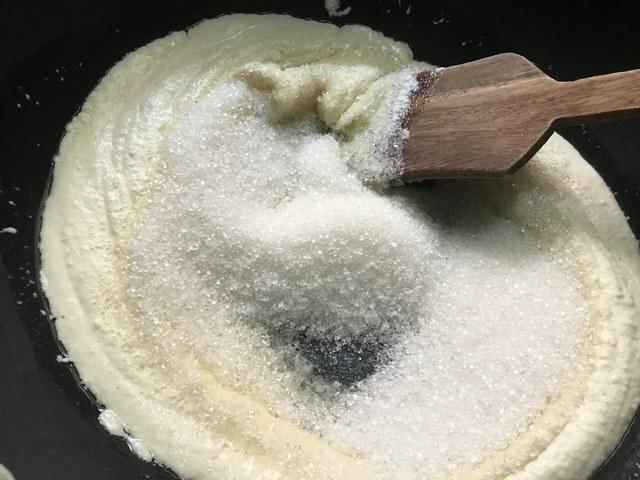 After 5 minutes, you can see the sugar starts to bubble as in the picture. Stir, stir and stir it well on low heat. Now the halwa starts to get thick and you can see a smooth badam batter. 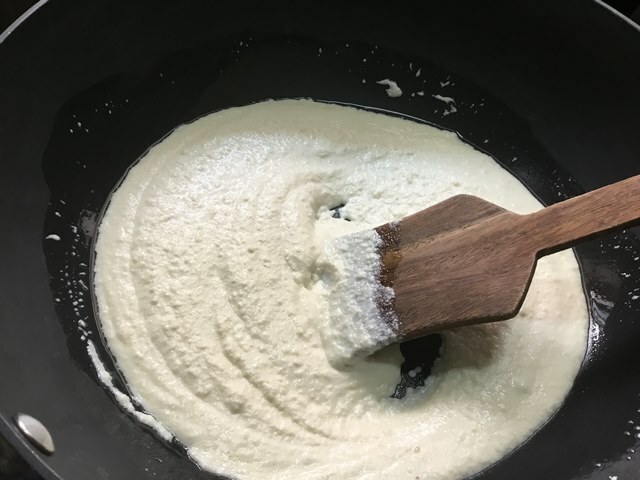 At this stage add the cardamom powder and stir it continuously for a minute and turn off the heat. Stir them well for a few seconds.Transfer the halwa to a greased bowl or plate. 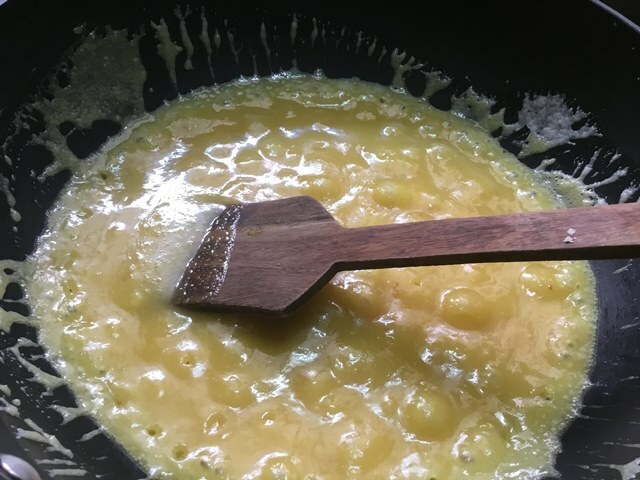 Take a heavy bottomed non stick kadai and add 1 tbsp of ghee and the ground badam paste. 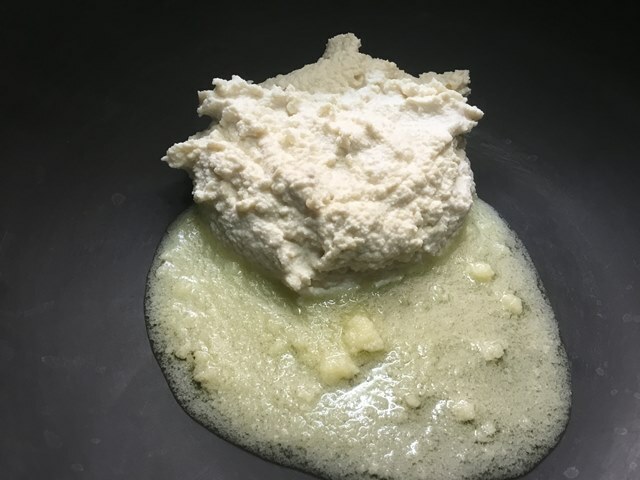 Stir the badam paste on medium heat for 1 minute. 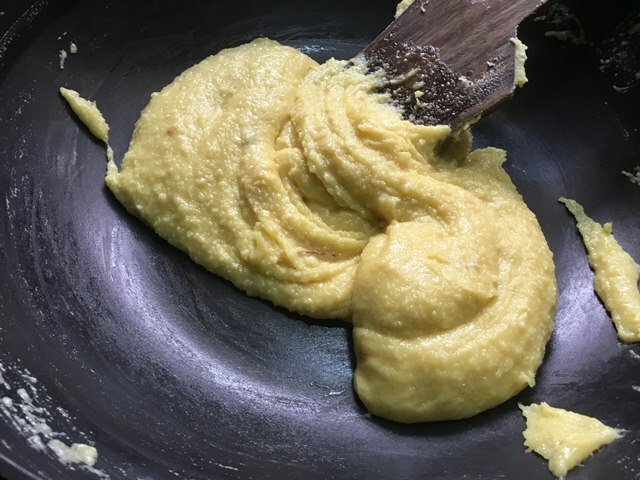 Now the halwa starts to get thick and you can see a smooth badam batter. At this stage add the cardamom powder and stir it continuously for a minute and turn off the heat. After turning off the heat, stir them well for a few seconds. Quickly transfer the halwa to a greased bowl or plate.